Full Description: In 2014, arvato selected Verego to assess its structured approaches to Corporate Responsibility, and ultimately achieved Full Certification in all 5 AREAs of the Verego SRS Standard at 10 of their global sites. The Assessment Process validated existing structured approaches and also led arvato to expand the Promotion of CR in their Supply Chain and establish a new innovative habitat conservation program to offset executive air travel emissions. Since 2014, arvato has expanded the scope of their Certification Awards to include 12 of their global sites. arvato is a subsidiary of Bertelsmann AG, providing customer support and logistical services with more than 65,000 employees across 40 countries. They are one of the main Business Process Outsourcing (BPO) suppliers for many of the world’s leading telecoms, airlines, and technology companies, including Microsoft. Three years ago, Microsoft selected Verego along with other third-party certification schemes, such as ISO 14001 and SAI 8000, as options for their call center suppliers as part of Microsoft’s Responsible Sourcing Program requirements. 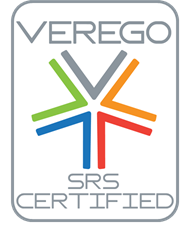 Full Description: At the end of 2014, Teleperformance completed its first Verego SRS Certification Assessment, achieving full Certification in all 5 AREAs of the SRS Standard for 17 of its global call center sites. In alignment with the SRS Standard and inspired by Verego’s Best Practice Recommendations, Teleperformance made several updates to their previous approach to Corporate Responsibility. For instance, the organization expanded supplier requirements, published the supplier policy online for full transparency, and developed a supplier qualification questionnaire used to track suppliers’ social responsibility performance. The right to collective bargaining, the elimination of forced and child labor, and fair wages for employees were also addressed in a recently released human rights statement. At the end of 2015, Teleperformance sought to expand the scope of their Certification Awards to include all of its global operations and has subsequently achieved Enterprise-Wide Re-Certification for 2016, 2017, and 2018. Since 1978, Teleperformance has been providing customer care services and now has over 182,000 employees at 270 contact centers in 62 countries. The organization supports some of the largest companies across many different industries in over 75 languages. For greater detail of Teleperformance’s Certification Assessment, please click the link below to read their recent article in Business Wire. 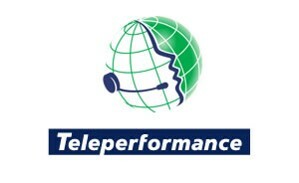 Click here to view Teleperformance’s article in Business Wire. Full Description: This year, Convergys completed an SRS Assessment to achieve Re-Certification at an Enterprise-level, applying the Certification Awards achieved in all 5 AREAs of the Verego SRS Standard to all 150 of Convergys’ global sites. Not only were existing approaches to Corporate Responsibility validated across the organization, but Convergys also over the past two years had expanded or improved their approaches to Stakeholder Transparency, the Promotion of Social Responsibility in the Supply Chain, Human Rights, and Environment, particularly Habitat. Through the SRS Assessment Process, it was validated that these new best practices were being implemented at an Enterprise-level. 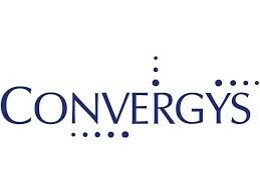 Convergys is a leading customer management firm with over 125,000 employees at 150 sites in 31 countries. With over 30 years of experience and the capability to support over 58 languages, they are a primary BPO supplier for a range of industries, such as Technology, Health Care, and Travel. Full Description: In 2015, Sutherland first achieved Corporate Level Certification Awards for the 4 Verego SRS AREAs of Leadership, Ethics, People, and Environment for 5 of its global sites: Bangalore, India; Chennai, India; Clark, Philippines; Kingston, Jamaica; Manila, Philippines; Syracuse, NY, USA; and Tarlac, Philippines. Sutherland achieved Re-Certification for these same SRS Awards at the same sites again in 2016 extending through December, 2017. For its 2017 assessment, Sutherland pursued and achieved Re-Certification for 5 sites (Chennai, India; Clark, Philippines; Kingston, Jamaica; Syracuse, NY, USA; and Tarlac, Philippines). Over the multiple years of completing Verego’s assessment and validation approach, Sutherland demonstrated marked improvement in multiple sub-areas: Promotion of social responsibility in the supply chain; Employee health and safety; Supply chain human rights; Pollution monitoring and continuous improvement; and Habitat monitoring and continuous improvement. About Sutherland: As a process transformation company, Sutherland rethinks and rebuilds processes for the digital age by combining the speed and insight of design thinking with the rigor and precision of process expertise. Sutherland has been helping customers, across industries from financial services to health care, achieve greater agility through transformed and automated customer experiences for over 30 years. For greater detail of Sutherland’s Certification Assessment, please click the following links to read Sutherland’s Certification Announcement which includes the option to download a full copy of Verego and Sutherland’s Certification Case Study.